Irene Ang, who wins Best Comedy Performance By An Actor/Actress, getting a hug for her win. 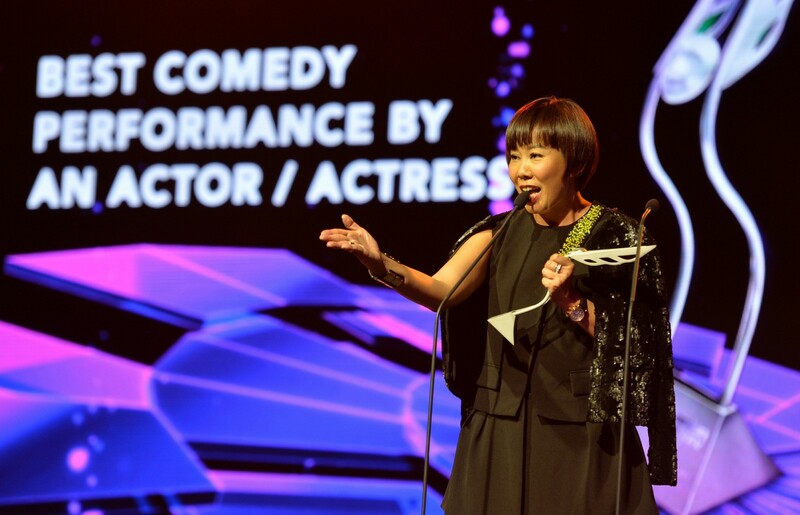 It was Irene Ang's win early in the awards ceremony that kick-started Singapore's haul at yesterday's Asian Television (ATV) Awards. Held at the Sands Expo and Convention Centre, it saw the comedienne bag the Best Comedy Performance By An Actor/Actress for her role in Spouse For House. The show, also starring Alaric Tay and Selena Li, scored a hat-trick. It also won Best Comedy Programme and Best Original Screenplay. Ang, who last took home the same award in 2002, was visibly excited. "I just want to sleep!" she said, when asked how she would celebrate. "With this hat-trick, I hope Singaporeans will sit up and watch the next winning sitcom, with families coming together after dinner to watch and 'lepak' (Malay for chillax) together like PCK (Phua Chu Kang) days." Other local winners included Rayson Tan for Best Actor In A Supporting Role and Pierre Png for Best Actor In A Leading Role. Tan, 49, thanked his wife Chen Liping, who was absent, for taking care of their son while he filmed in Malaysia. It was a good night for Singaporean stars at the 19th annual Asian Television (ATV) Awards. The region's most prestigious entertainment awards was held on Thursday night (Dec 11) at Marina Bay Sands, reported The New Paper. Pierre Png (right) took home the award for Best Actor In A Leading Role. (From left) Sora Man, Serene Koong and Jeffrey Xu. 2moro (twins Anthony and Angus Guo) with Rebecca Lim (right). Allan Wu and Nadya Hutagalung. Spouse For House stars Selena Li (L) and Alaric Tay. Actor and entertainer Bobbi Tonelli. The cast of Spouse for House, (from left) Richard Low, Irene Ang, Selena Li and Alaric Tay, which won the award for Best Comedy Programme. Irene Ang on stage accepting the award for Best Comedy Performance By An Actor/Actress. Irene Ang reacts after she is announced as the winner of the Best Comedy Performance award. She last took home the same award in 2002. No. 10: Actor Pierre Png. 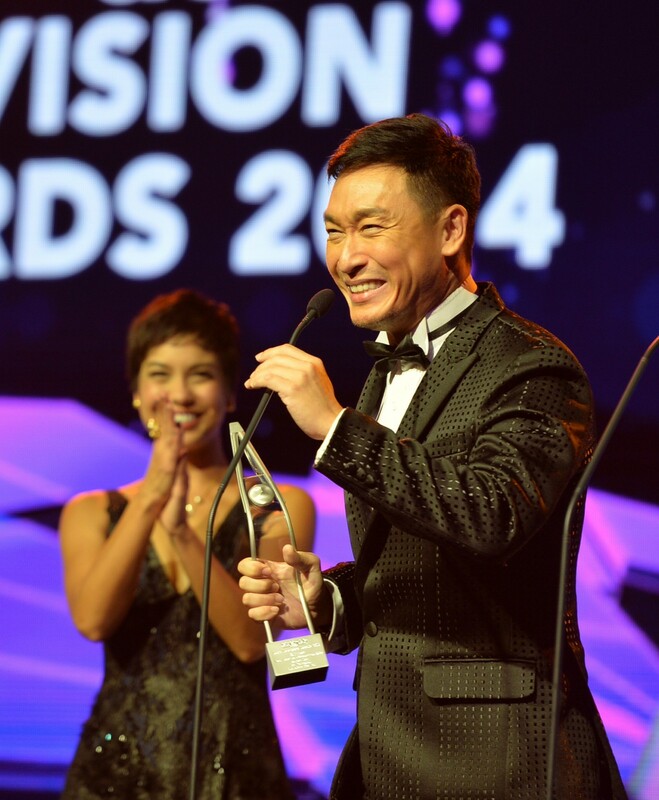 The former Phua Chu Kang actor ended the year with a win in the Asian Television Awards. Seven-year-old Malaysian actress Puteri Balqis Azizi won Best Actress In A Leading Role. "There are no words to express how I feel. I mean, look at my happy face," said Tan, who was nominated for his role in Entangled. Png won for his role in Zero Calling. 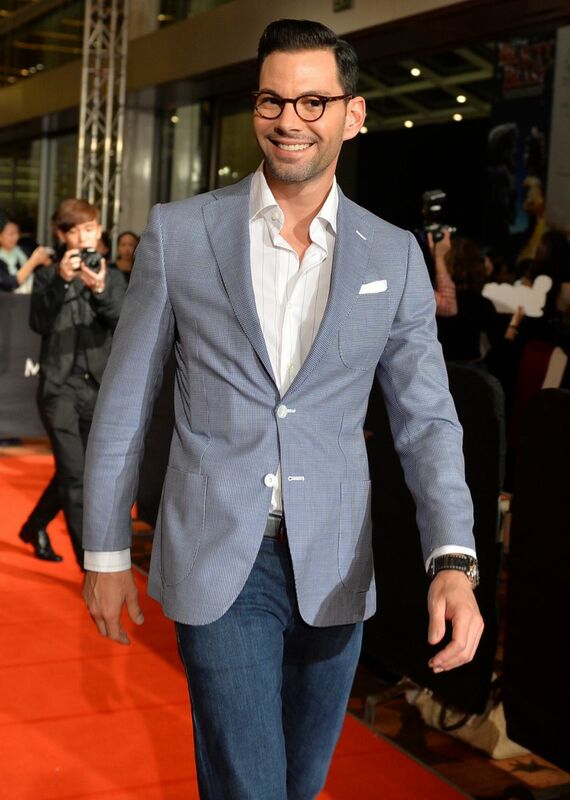 He was also nominated in the same category for his role in Channel 8 drama The Journey: A Voyage. "About time," he joked after the award win. It follows his Star Awards Best Actor accolade earlier this year, his first award in his 16-year career. "My hands are all sweaty now, I'm super excited if you can't tell. I can't wait to go home and celebrate with (my wife) Andrea (De Cruz) and our dogs." Other stars in attendance included Allan Wu, Nadya Hutagalung, Jeffrey Xu, and Belinda Lee, who were decked out in their monochromatic best. Lee, who came in a classy white tube gown, was nominated for Best Entertainment Presenter/Host. "This is my first ATV nomination in my 15-year career. I'm happy they finally took notice," she said. Unfortunately, she left empty-handed. Although the Singapore cheer was loudest with wins in numerous categories, countries like Hong Kong, Taiwan, Australia and Malaysia also had cause to celebrate. A surprising win came in the form of seven-year-old Malaysian actress Puteri Balqis Azizi who side-stepped her more experienced competitors to win the Best Actress in Leading Role title. The shy, young star seemed uncomfortable with her win for TV3 drama Balqis. "I'm very happy," was her short and sweet reaction. Puteri Balqis grabbed the title from the likes of Rui En, Joan Chen and Tien Hsin.